For those of us that had a Sega Saturn, there was maybe a handful of games that were truly worth bragging about. Treasure's Guardian Heroes was one of those games. Well, in their latest press release, Sega have announced that a remake is on the way! SEGA of America, Inc. and SEGA Europe Ltd. today announced the upcoming re-release of Guardian Heroes, a classic Action-RPG Brawler by celebrated developers Treasure. 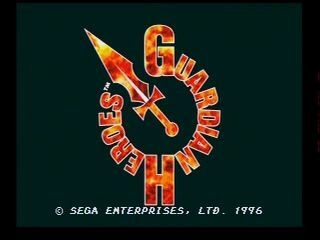 Originally released for the SEGA Saturn in 1996, Guardian Heroes has been re-mastered with enhanced graphics, online co-op and battle modes, all-new modes of play, and more. The game will be available via Xbox LIVE Arcade for the Xbox 360 video game and entertainment system from Microsoft this fall. Ever since we began to make SEGA's classic Dreamcast and the Mega Drive titles available for modern systems, the fan response has been overwhelming - and the demand for their favorite games has been pouring in, said Haruki Satomi, VP of Digital Business at SEGA. Players have been clamoring for this treasured favorite from the Saturn days, and we cannot wait to show them what we have got for them. If that's not great news - I don't know what is. In the meantime, what other games from Saturns library would you like to see brought over? but wait, remakes. worthy ones, not just shameless ports. Great news. Maybe panzer dragoon or clockwork knights (can't tell if that one was orthy enough) would do for nice remakes too. I also was said Power Stone was cool. I'd also like to see a remake of shenmue too... but wait, remakes. worthy ones, not just shameless ports. I agree on the Panzer Dragoon, if they gave that a big facelift and some extra content, it'd be a mustbuy for me.